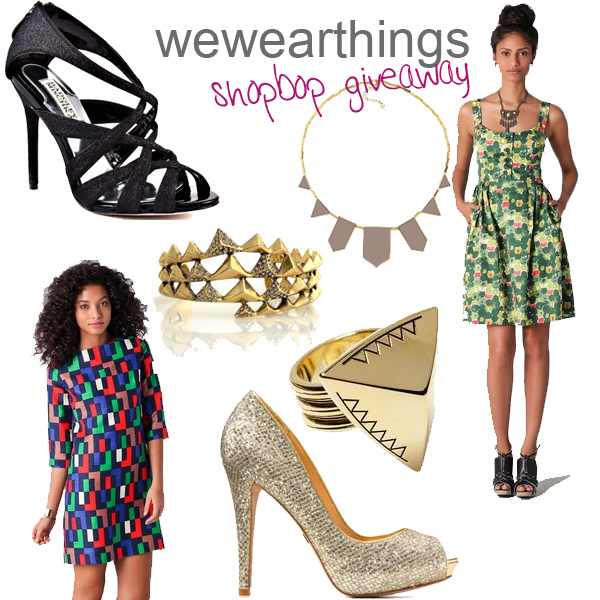 we're excited to be hosting another giveaway with shopbop! they always have the brands i want.. and of course they have great deals in the sale section. AND now one of you lucky blog readers get a chance to win a $100 gift card to spend on whatever your heart desires from their fab store. and of course be sure to check out the Shopbop blog for the latest on what's going on with them! anyone may enter, including international readers, contest ends May 15th, the winner will be picked with random.org, and announced by May 18. Of course I'm following--love your style! Thanks for hosting this fantabulous giveaway. I'm a follower. Thank you for the giveaway! Totally a follower, plus I won last time (and I NEVER win). Is it too much to enter again? love your picks + shopbop! Whoop Whoop for Shopbop. They always have the best stuff. Crossing fingers and toes. Thanks for hosting, Issa. Of course I <3 you! followed via GFC. Love your blog!! I love shopbop! It's my first internet stop every morning to check out any new lookbooks as well as merchandise. I love Shopbop, thank you for the chance to win! I follow you through Google Friend Connect as Cheryl v.
Lovin' that HoH 1960 Pyramid Ring!! Also following you on Twitter via @Englishian & I've RT'd your giveaway here. Hi Issa! I've been a fan of your blog for... what, 4 years? Still loving your blog! Would love to win this giveaway. Been following for awhile now. I meant to say I follow you on bloglovin! Great giveaway! I follow on Bloglovin (ananda7310). I also tweeted (@katxc) about the giveaway!